Winter Session Starts January 16th! Hello ladies! Welcome to our Winter Session of Women of Worth. We are excited about what’s planned for the next few months as we study the word of God together. On Wednesday January 16th, we’re going to dive right into our first session! So we won’t be having a kick off brunch, but if some ladies can bring snacks to share that would be appreciated! Take a look below to see what we have planned! 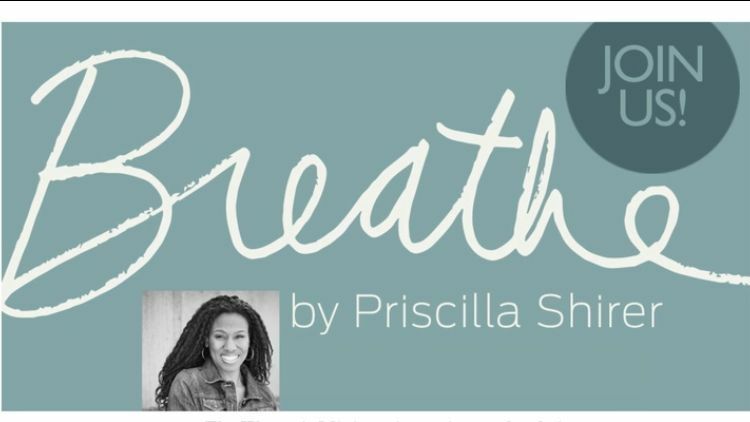 One of the greatest challenges in our culture is taking time to cease from all the activities and just breathe. This DVD study followed by small group discussion will challenge us to do just that! Note that we will all do this study together in the Theatre Room. What an exciting way to start off the New Year! We will be having a Women’s Event on Thursday Jan 31st! You won’t want to miss this. 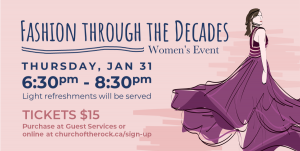 Our team has been hard at work for months, so invite your friends and join us for an incredible evening of food, friends, and fashion through the decades! Tickets go on sale this Sunday, January 13th at Guest Services. Women of Worth will be joining the church-wide campaign of 40 Days of Prayer! 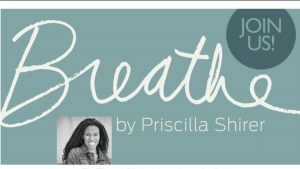 We will begin our mornings with worship as usual, and then come together in the Theatre Room as we study together and break into small group dicussion.